Compliancy Group is proud to announce that it has partnered with the North Country Initiative to provide its industry-leading HIPAA compliance solution to members of the initiative. The North Country Initiative (NCI) is a partnership of hospitals, independent physicians, and community providers working together to provide health care to Jefferson, Lewis, and St. Lawrence counties in upstate New York. NCI has partnered with Compliancy Group to implement a HIPAA compliance program throughout their hospitals, physician offices, and satellite locations. Compliancy Group's web-based compliance solution, The Guard, is being used to address components of the New York State Delivery System Reform Incentive Payment (DSRIP) Program. "Here at Compliancy Group, we recognize the importance of partnering with organizations like NCI in their journey toward HIPAA compliance," said Marc Haskelson, President and CEO of Compliancy Group. "Fulfilling New York State DSRIP requirements is essential to improving patient access to quality treatment. Making treatment and care more efficient while protecting patients' rights to privacy is fundamental to our partnership with NCI. Our HIPAA compliance solution gives health care professionals the tools to become confident in their compliance so that they can get back to serving their patients." 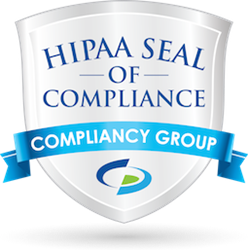 Compliancy Group simplifies HIPAA compliance so that health care professionals can confidently run their practice. The Guard™ is our simple, cost-effective, web-based solution. Users are guided by our team of expert Compliance Coaches™ to Achieve, Illustrate, and Maintain™ total HIPAA compliance. Visit https://www.compliancy-group.com or call 855.854.4722 to learn how simple compliance can be. The North Country Initiative is a partnership of hospitals, independent physicians and community providers working together to reform the healthcare system in the Tug Hill Seaway Region (Jefferson, Lewis, and St. Lawrence Counties). Together this partnership of hospitals, independent physicians, and community providers carries out strategies to collaborate leadership, align incentives, create clinical programs and develop technical infrastructure. The outcome of these changes will improve the health of the community, reduce the cost of healthcare, and improve the care for patients.